Sixth President of the United States from 1825 to 1829. Partly-printed vellum DS. 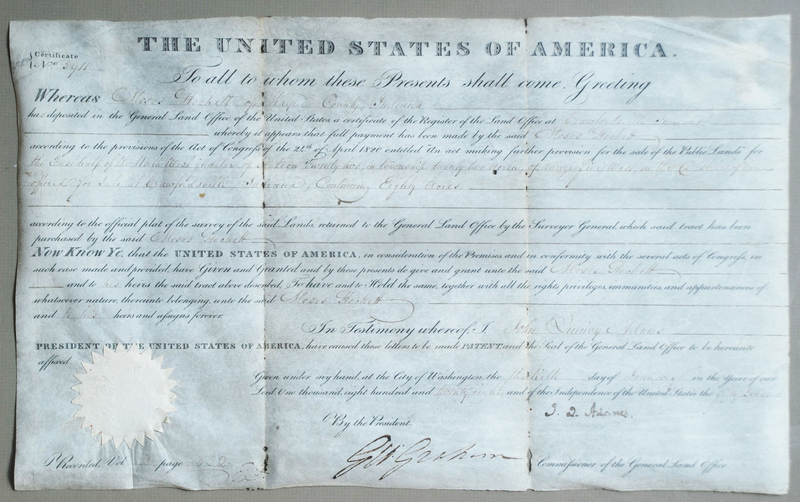 Land Grant for a Moses Hockett of Wayne Country Indiana, dated January 13th, 1828. Moses Hockett, b 22 Oct 1770, He moved from North Carolina to Ohio, Tennessee, and finally Indiana. In Good Condition and has been loosely framed. Condition is good and signature is clear and darker than some of the other writing within the document.